Working with Sparkly Maid is so easy that you will love having a place to turn to when you need help with the house cleaning. To hire this team you need to schedule a cleaning, then a professional maid will arrive at the time and on the date that you have specified as being the most convenient. Whether this means you will be in the home or you want them to clean while you are at work, they will be efficient and achieve results so you can relax. Cleaning your home is not the daunting task that it normally might be when you have the regular help of a housekeeper in Milwaukee from Accent Cleaning Pros. You can hire this local house cleaning service as you need them. They will help you to develop a custom cleaning plan and schedule that suits your needs and your lifestyle. 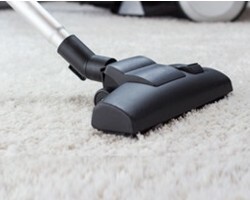 Whether you need a cleaner once a week or would like seasonal help, there is always a professional available from this company to offer their services. Clean as a Whistle is known for offering some of the most affordable Milwaukee cleaning services without compromising the quality of the work. While companies are competing for business, this one is thriving because they always produce the desired results and achieve total customer satisfaction. Cleaning services are never cheap but this company really does have unbeatable rates according to the reviews of the service. Whether you need help keeping your home tidy or need daily business cleaning, this company has the experience needed to do the work. Bloomingvert is a unique maid service in Milwaukee, WI as they offer house cleaning using only environmentally friendly solutions and techniques. What makes this company great is that even while they are always using green products, they also achieve the best clean possible, often even better than the results that could be achieved using harsh chemicals. The goal of this company is to provide you with the cleanest home possible at times and prices that are convenient as well as promote good health within your home. 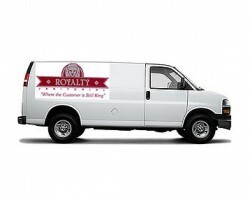 Royalty Janitorial is a traditional commercial cleaning service in Wisconsin that has been cleaning businesses and properties in the area since 1986. 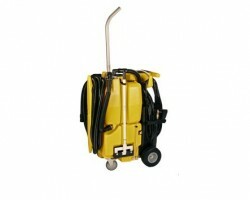 This company is known for only hiring the most experienced and professional cleaners in the business. From doing simple cleaning tasks like changing garbage bins to more complicated tile waxing, this janitorial team can do it all and they do it all incredibly well. 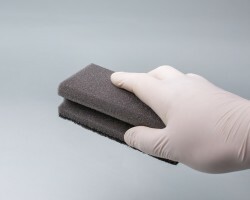 When you need an office cleaning service in the area, there is not a more accommodating or effective solution than hiring Royalty Janitorial.